A lot has been said about how a proper professional and hyper-attractive email should look like. But what if you have some annoying clients you don’t want to deal with? Or maybe there are some lame customers who keep sending you a lot of spam, and you’ve lost your temper? Get rid of them! If you feel sarcastic, or want to add humor to your correspondence, or you are willing to scare potential customers and reduce their interest to your company, you will find here exactly what you’ve been searching. So you want to screw up your email? Screw up your signature first! Here is how to do it. Not that bad, huh? Could be. Pack your signature with all the possible info you have about your company. If you are creating a personal signature, remember all the applications you are using (even if you haven’t used some of them for ages) and include your usernames. Better if they are still valid, but who actually cares? Write your ICQ username as well. Don’t forget to indicate all the existing and already outdated websites of the company. Add the link to your blog and your hobby site. You doubt whether it will be interesting to the recipient? But that’s what you wanted, right? Arrange all this contact information line under the line to make the signature look longer. You forgot about your personal accounts on Facebook, Twitter, LinkedIn, etc.? Get back and necessarily insert them here! Oh! And the closing of the closing part! How could we forget? A quote of the day! Don’t ignore it. Show your mood to everyone. Play with the colors! Imagine that you’ve returned to your childhood. Choose the brightest color from the color palette. Make it a background one. Then select four-five other blazing shades. One for each line would be perfect! Make a signature even more spotty by using different fonts and sizes. Finish this up with the cutest picture you could find. Has it no connection to your area of activities? It doesn’t matter. You like it, don’t you? This is what matters. Create your signature in the fastest way possible. Take no time to check for grammar and spelling mistakes. Don’t bother to send any mails with your new email signature to friends or anyone else to check it. What? Are you planning to test it? Have you even updated it from time to time before? Do you seriously think anyone actually reads letters till the very end? Forget about it! It’s meaningless! Use this time to drink another cup of coffee or chat with your friend instead. 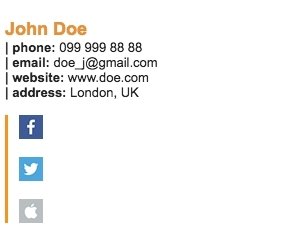 Copy someone else’s email signature and modify it a little bit for your purpose. You have a feeling that it was poorly designed? It doesn’t attract attention at all, even yours? Well, businesspeople cannot always be original and do not need to reinvent the bike. If someone has already done this job, do not complicate your life, use their product. Time is money! Use as many bullets, checkmarks, and numberings as you possibly can think of. The format of your email signature will definitely change. So what? At least it will differ from most existing ones and will be original. You wanted to surprise your recipients, didn’t you? You should create as complicated text signature as possible. Forget about geographic markers or addresses. Who needs to know where your office is located? They have a phone number to call and ask for it. Include the side job you’re doing except your basic one. Is there more than one? Perfect! Mention all of them to make yourself more popular and attract people’s attention. Attention! The most valuable piece of advice! 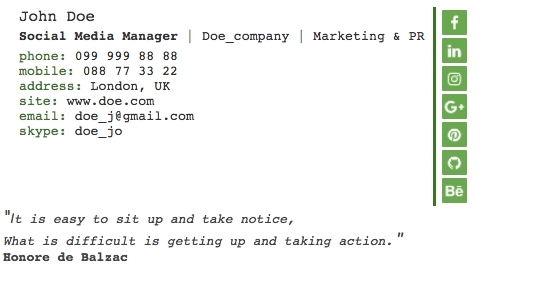 Start with your email signature. Make it a top of your email attracting customers’ attention. 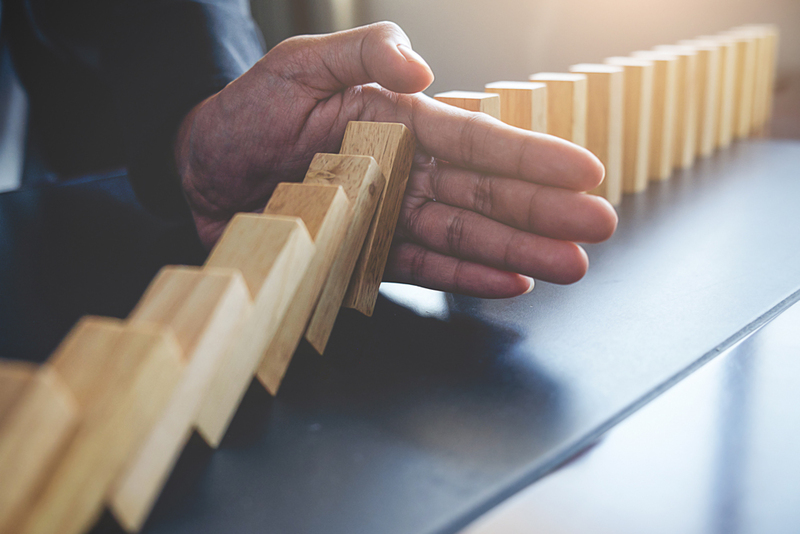 It all causes too many problems, doesn’t it? If you get too exhausted thinking about your email signature, planning its structure and so on, there is a much simpler way. Just go without it! Your brand is already established, isn’t it? Your company is well-known. One or two emails without electronic signature will not make a big difference, will they? 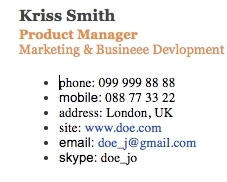 Next PostNext How to Reach Clients With a Proper Email Signature?